Record Store Day arrives Saturday, April 21. You can swing by one of the best record stores in NYC (any day is good for a visit, really) or participate in a record store crawl (though it's sold out). If you're overwhelmed by the options though, here's a concise guide to navigating the faux holiday. Two of the folkie Australian songsmith’s early EPs are included on this single picture disc. Look out for another Record Store Day release that collects two tunes from Barnett’s forthcoming album on a 12-inch single. The puckish indie-pop troubadour pulls back the curtain on his creative process with this collection of previously unheard demos, instrumentals and B-sides from his strong 2017 full-length. For anyone who needs to get their RSD fix early, the Williamsburg megashop opens at 8am. Jam out to DJs spinning all day. 64 North 9th St, Brooklyn (roughtradenyc.com). Saturday, April 21 8am–11pm. 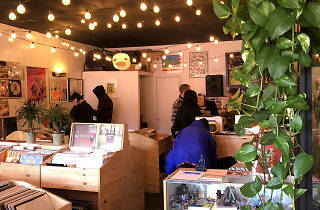 Sure Shot Records and other indie sellers hawk their wares inside this Gowanus brewery, along with DJs and live music. Threes Brewing, 333 Douglass St, Brooklyn (threesbrewing.com). Saturday, April 21 21 noon–11 pm. 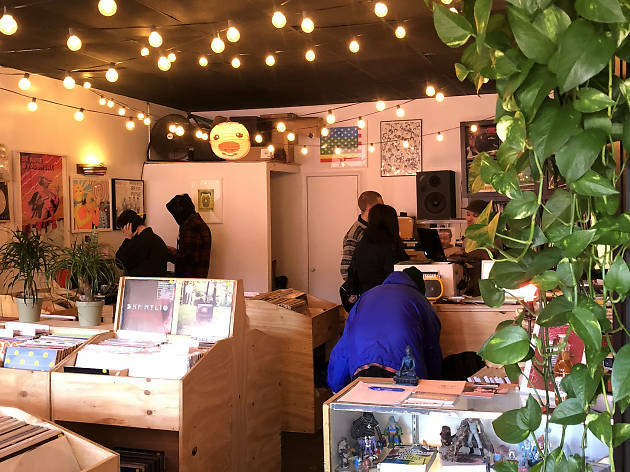 RSD is great and all, but make sure you save some change for WFMU’s annual vinyl bonanza, which brings live bands, films and hundreds of vendors under one roof. Brooklyn Expo Center, 72 Noble St (wfmu.org/recfair). April 27–29; $7–$25.